It’ll be a busy summer for Bossier Schools if the school board approves several new construction projects. Among the list are projects that will directly effect Sun City Elementary and Plain Dealing schools. The building and grounds committee recently voted in favor of the projects, but it will take a vote by the full board on March 22 to keep the process going. 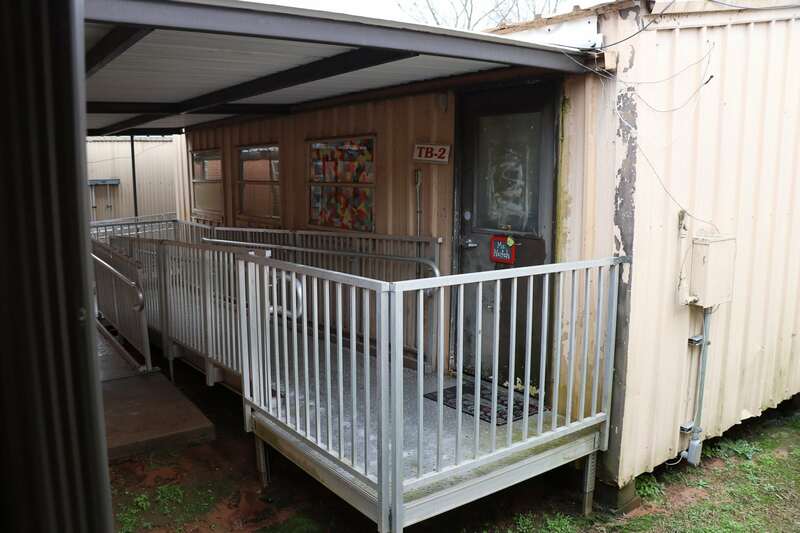 Sun City Elementary was identified as a school in need of a new classroom wing because they have more transportable buildings (or T-buildings) than any other elementary school in the parish. They currently have 11 classrooms set up in T-buildings. Sun City Elementary has been on the list to receive a new wing for some time now. The classroom wing is based on a prototype that was also used at Apollo Elementary and Stockwell Place Elementary several years ago. It will have 10 designated classrooms with an option to add two more rooms, giving them a total of 12 new classrooms. The south Bossier school is long overdue for a new classroom wing, but the wait is almost over. Principal Kim Tuminello said you won’t find anyone more excited about a classroom wing than you will at Sun City. One problem they ran into, though, was where the classroom wing would actually go on the campus. “All of the T-buildings take up the space between the school and the playground,” Norwood explained. Their solution is to remove two of the T-buildings this spring and, simultaneously, bid the project so that construction can begin as soon as the school year ends. “We are ready to move forward with the project. We just need the school board to say yes,” Norwood added. Third grade and music will occupy the new wing, Tuminello said. Specialty classes, such as art and speech, will move back into the main school building. That day can’t come soon enough for STEAM art teacher Marissa Marrero. Her class occupies one of the T-buildings now and has its daily challenges, like minimal storage for supplies and no running water to clean supplies or wash hands after completing projects. The two buildings removed from Sun City will be placed at Benton Middle School to help relieve growing pains there until the new Benton High School is finished. Then, the middle school campus will be combined with the adjacent high school campus to create a single middle school campus. The new Benton High School is about 18 percent complete. Recent rains have put the project on hold, but Bryan Yeates with Bledso Architects said the contractor was already ahead of schedule before the bad weather moved in. The new school is estimated to be a $45.5 million construction project. The new Benton High School, located next to Kingston Elementary on Fairburn Avenue, has a projected opening date of fall 2019. Other construction projects in the parish include improvements to Plain Dealing schools. The press box at the Lions’ football stadium is on the list for an upgrade. The problem with the current structure, Norwood said, is that it’s too close to the power lines, preventing people from getting on top to film the games, and it’s too small. A platform was built by the maintenance department on the side of the press box for people to film. However, the size of the press box is still a concern. Pending the school board’s vote next month, Norwood said they could have the project done and ready for the upcoming football season. Bossier Schools is in the process of re-configuring Plain Dealing schools into a K-12 campus. The original elementary wing on the high school’s campus will go back to housing elementary grade levels. A project at Parkway High School will create bathrooms and a concessions stand for the softball and baseball fields. Norwood said the project is similar to what was built for Haughton, but without the press box on top. The board will also vote on a connector drive that will help improve traffic flow through the south side of Parkway’s campus. Norwood said it would connect the band parking lot to Sherri Drive.